You Can Book Adrien Broner For An Appearance At Your Next Event! Boxing champion Adrien Broner was born on July 28th, 1989 in Cincinnati, Ohio. While growing up, he began boxing in 1995 at the young age of 6. He finally turned professional in 2008, scoring 5 consecutive wins for his first 5 fights. Since then, he’s gone on to establish himself as one of the best boxers of his generations. To date, he’s fought a total of 35 fights, winning 32 of them. Aside from his highly successful boxing career, Adrien has also branched out into rap music. He’s already worked with Rick Ross and Soulja Boy just to name a few. And he’s also launched his own label already, About Billions Music Label. Would you like to book Adrien Broner for an appearance or performance at your next event? The New Era Booking & Management Firm will assist you with the booking process, while making sure everything goes smoothly. We’ll provide the quality entertainment so your guest remember your event for years to come. Let our staff do all the hard work while you enjoy your event with the guest, free of any distractions or worries. We’ll go above and beyond to provide you and your guest with a memorable experience! 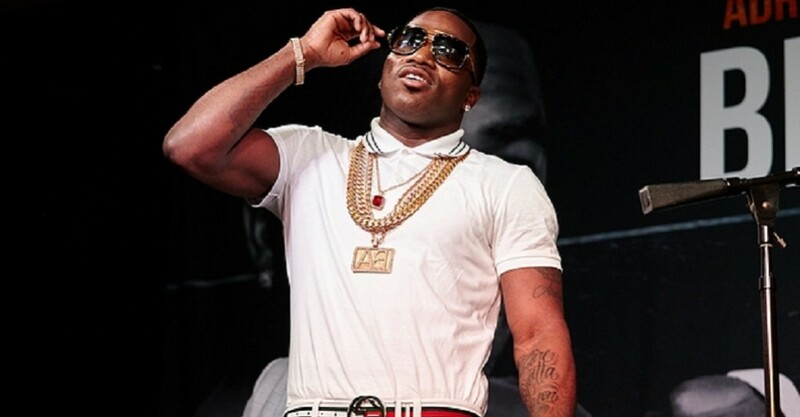 Are you interest in booking Adrien Broner for one of your events? You can get the process started by filling out our booking request form. While filling out the request form, please make sure you provide the details of the event you would like to book him for. You should also include any questions you may have in regards to our booking process. Once you’ve completed the request form, a member of our friendly staff will respond in a timely manner to further assist you with booking Adrien Broner. Due to a high volume of requests, we kindly ask that you only fill out our request form if you are serious about booking this entertainer.